Stores reference 22c/93. Museum quality reproduction pads. 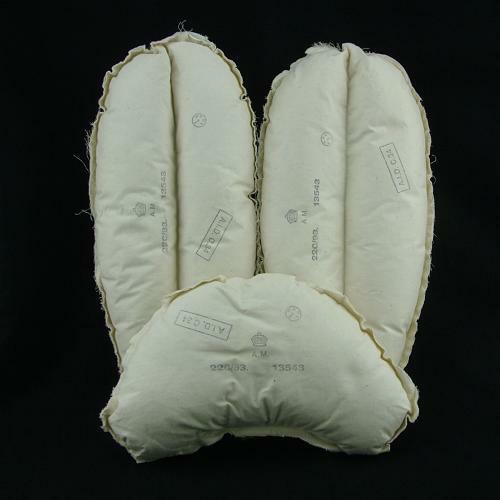 Full set of three kapok filled cotton covered pads. Clearly marked with a King's crown Air Ministry stamp. Each Mae West had two side pads and another smaller pad for the neck area. Excellent 'as new' condition. These make an ideal budget alternative to a genuine set. Stock code MW22967.